Contact centers aren’t all the massive facilities we picture when we envision modern customer service. Many call centers are still relatively small operations, which means that the one-size-fits-all attitudes of software manufacturers won’t suit their needs as well as those of larger facilities. Unfortunately, this leaves many smaller facilities feeling like today’s best tools and technology – such as call center automation – are beyond their budget and needs. What can be done to adapt modern call center technology to the needs of smaller operations or scale it to suit that of growing businesses? Read on to find out how adaptive technology is making the difference. Smaller centers will have different needs than larger centers will. While this may seem obvious, many managers who have worked in both types of environments lose sight of the differences between the two. The primary difference in large contact centers and smaller ones will be agent utilization. Your occupancy rate will be different because of the inconsistency of calls coming in at a smaller contact center, which means that distributing your manpower properly will be more difficult if you don’t have a good solution in place for doing so. 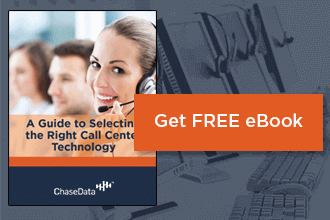 Call center automation may also be somewhat misplaced in smaller call centers, since the volume of calls handled by these locations may not warrant automation when it comes to distribution or other tasks. It’s important to know what your center needs before investing in tools or technology that are beyond your budget and what is currently practical for your facility. It’s also important to understand how your needs change if you are undergoing growth or expansion. As your center changes and your staff grows, the needs you must address will change along with them. Having call center technology that is easily scalable will help with the growth process and making transitions easier for everyone involved. Adding people to things like payroll, staff access portals, center networks, and more shouldn’t be difficult, so look for programs that take that pain out of growing your call center. What works for balancing the workload for your employees? Regardless of what it is, it’s likely to be different than the solution that works for a contact center that is half your size or one that has a staff that doubles your center’s number. Understanding that every center has different needs is the first step in finding solutions that work for you. The second is accepting that just because a solution promises great results doesn’t mean that those results will fit your needs or what your company’s mission is. 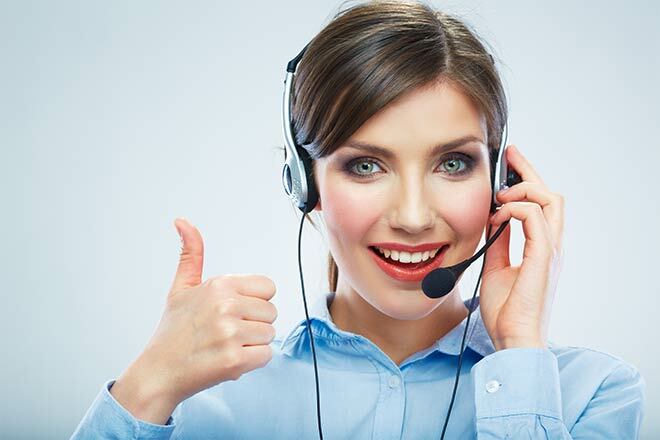 Call center automation is great, but if your automation solution is constantly directing calls to agents who aren’t on the line, it may be keeping those agents from completing any other tasks that aren’t phone-related, which is an important part of the workload balancing act in smaller contact centers. Be sure to take this into consideration before committing to a software solution of any kind; just because it’s great doesn’t mean it’s great for you! Something to remember about automation technology is that it’s an umbrella term for many types of software and technology that are used to automate and speed up the process of everyday operations at contact centers. This means that there truly is a solution for every business – including yours. Start small. If you’re a smaller operation or just getting started, work within your means. Don’t even consider programming designed for larger operations. Stick with technology that is meant to simplify the everyday operations you’re already doing and use that technology to make things easier. That should be your first step toward an automated call center. Technology should grow with you. As you grow and your call center’s needs change, your technology should evolve along with them. The more calls you need to handle, the more that automation needs to come into play. Consider upgrading your dialer, your call distribution technology, and more as your operation grows – and be sure to check on how your agents are handling their workloads every so often to find out if another upgrade is in order. For the largest operations, full automation may be in order. There are very few tasks that cannot be automated in today’s contact center. However, it’s important to remember that the human touch is one of the most important elements in human service. Never forget to stress the importance of real human interaction with your employees and to model this interaction yourself by making the rounds and checking on your staff to find out how they’re handling their workloads. This will also give you an idea of which technology needs an upgrade -and which ones are perfectly balanced in their automation. Most call centers focus on hard and fast metrics that can be measured to gauge success. While this can certainly be a great way of keeping track of part of your goals and how well you’re working toward them, it’s not the whole picture. To truly create an effective call center and grow both bigger and better it’s important to focus on quality before growth. This means that regardless of if you have a few dozen employees or a few hundred thousand, it’s important to stress that productivity, efficiency, and great consumer relations are the most important part of their work day, period. No amount of automation or simplifying technology can make it easier for your customers to have a great experience if your agents aren’t willing to give them one, so make that a top priority every time. Ready to learn more about adaptive technological solutions in call center automation and more? Talk to the industry experts at ChaseData. We have the tools and technology to make today’s solutions work for your operation – regardless of size.